Hi guys! I have some exciting news….I have a very cool Prize Pack from Henkel to give away to one of my readers…aka YOU! They sent me this awesome package filled with haircare and home products such as Dial, Purex, RightGuard and more! 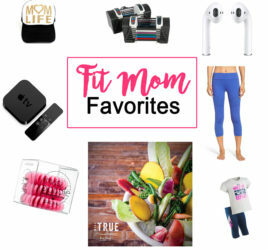 Plus…you will get a $250 Sports Authority Giftcard AND a FitBit Ultra Tracker ($99 value) to track your workouts, sleep paterns and calorie burn! 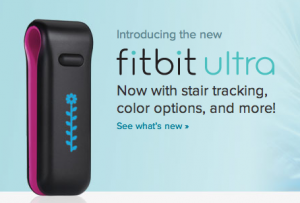 The FitBit alone is such a cool prize and will help you stay on track with your fitness goals! What do you have to do to enter? Tell me WHAT MOTIVATES YOU TO WORKOUT! As you know, my main goal is to help others get in shape – so by sharing your motivational tips, we can help each other! What are your biggest motivators? Your skinny jeans? A big party coming up? Being able to run that half marathon you signed up for? Or, maybe you want to prevent heart disease that runs in your family? Just share whatever it is that motivates you or fuels your desire to stay fit! Comment below and let me know what motivates you to workout or stay (or get) Fit! “Like” or Tweet this post on your own Facebook or Twitter pages and encourage your friends to enter! Follow me on Twitter and/or subscribe to me on Facebook and if I see your post I will comment or Retweet it! The Deadline is Tuesday 10/2! Check back on my blog (or subscribe for notifications) on Wednesday 10/3, where I’ll announce the lucky winner! Once I see your comments and your “Like” or Tweet I will enter you into the drawing and then chose one random winner on Tuesday 10/2! I’ll notify the winner on Wednesday 10/3. *This contest is open to anyone who lives in the U.S.! What motivates me to work out is to feel good both mentally and physically. Let’s face it, what person doesn’t want to physically look and feel their best. Whether its to look good in that dress for Friday night on Washington street or to have the energy to make it through the work day, working out def. effects the physical aspect. I also am motivated by the mental aspect of working out. After a long day at work, working out can clear the brain and bring stress levels down. I also use working out as a way to make myself mentally tough, not to back away from the challenge, but to push through on hard days. What motivates me to work out is to be more healthy overall. I want to lose weight and not have all the health issues that come with being overweight. Truly going to the bombshell bootcamp and seeing all the extremely fit people there and the awesome encouragement from the trainers keeps me motivated!!!! I do not want to be last anymore! What motivates me is seeing healthy people. People who are vibrant and enjoying some of the not so great things in life while still remaining healthy and fit..
1. Feeling energized, young, and confident. 2. Nailing new, difficult moves. 3. Being a good role model and inspiring others. Feeling good when I’m in shape and being able to eat good food is what motivates me to work out! Having fun with friends while doing it is a bonus! You motivate me! Your dedication, hard work, constant effort, kindness and passion for helping others achieve their goals as well is inspiring!! My ADHD motivates me to work out- especially trail running. I hate taking my adderall and running helps clear all the 50,000 thoughts running through my mind at once. It also helps naturally release the insane amount of energy I have ALL THE TIME!!! I am also motivated to work out when I see healthy elderly people still able to move and groove their bodies because they have been exercising their whole lives- that’s what I want to be like! Lastly- I love motivating others to change to, or continue leading a healthy lifestyle. Woohoo! I love the feeling of accomplishing something new! Through the course of a number of sessions with Bombshell Bootcamp, I realized that I respond really well to mini goals and I’m much much more competitive than I ever thought I was. I started working out more because I wanted to loose weight, but now, it’s all about hitting those goals I’ve set up. Be it running at least 10 miles a week in preparation of my first half-marathon, or pumping out 50-100 pushups/squats/plyo jumps/”you name it” here and there to get closer to my monthly Thousands challenge on SocialWorkout. Whatever it takes to be closer to that #1 spot. I set out on this journey to become the person that I always pictured myself to be in my mind, but didn’t see in the mirror. Now I can see it as reality and that’s what keeps me going. To be healthy, fit, but most of all have lots of fun doing it! Getting rid of some stress and loosing weight are my two top motivators to get to a bootcamp but once I’m there you definitely motivate me to push my self! What make me want to work out is I love the feeling afterward, Its where I can check out from the world and my mind some how clears the stress away. What motivates to me to push through those gosh awful planks is being able to see the muscle definition in my abs and being able to parade around in a bikini and feeling confident. On a serious note there were several days that I was emotionally drained from work and had to force myself to go to bootcamp, but at the end I always felt 100 times better and the workout turned my day around. Getting in shape for my wedding day motivates me! I like staying fit and challenging myself. I love the feeling after a good workout. If I have a good workout routine, I don’t feel as guilty when I eat some not so great things. What motivates me is that, “I DID THIS, I CAN DO ANYTHING I SET MY MIND TO,” great energizing feeling after each workout. That energizing feeling keeps me looking forward to the next workout and what more I can accomplish. 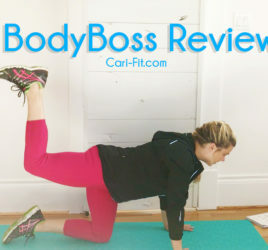 Staying healthy and fit overall and having Cari and Carrie as trainers helps push through those burpies!! I am motivated to stay fit because I once weighed in at 275 pounds ! I am now at 144 pounds and overwhelmed that I have made my Weight Loss Journey a Success ! I also do NOT want to be old when I’m 40; I plan on living my Life to the fullest, and in order to do that, I need my health. What motivates me to workout is for overall good health and well-being. Im motivated to be fit because..yolo! But really I want to be healthy and feel healthy. I just graduated from college in may and I had really bad schedule and eating habits so now I have graduated and working a 8 to 5 job I am trying to utilize my time better and get back in shape while being healthy. Everyday I hear girls around me comPlain about their image yet many tive up their workout because it may be hard to follow through. I struggle with this problem too but I have been very determined and have been working out almost everyday for the last three month bf now workout has become part of my everyday routine; it’s something that I enjoy doing. I am hopeful that it’s gonna all pay off someday I am patient..yet so eager to see my end result! I’m motivated by feeling and looking better…also, my healthy friends motivate me. A couple of years ago, I was 38 years old with a daughter in high school. I knew I was overweight, but I wasn’t motivated to do anything about it. I was depressed and just coming out of a divorce. Then my 17 yo daughter went to the doctor and he told her that she was on the verge of juvenile diabetes. My daughter was 185 pounds and the guilt lay on me. She was terrified, and I was terrified for her. The doctor expected her to drop a significant amount of weight. She cried, and told me she couldn’t do it. I said, “what if I did it with you?” So we started walking in our hometown until the weather turned cold. Then we went and bought Jillian Michaels 30 day shred and we made exercise a priority, 6 days a week. We pored over nutrition and dieting web sites and learned a healthier way to cook. We now own several DVDS and at 5:45 am Monday through Saturday you can hear us jumping with Bob on Biggest Loser or shredding it with Jeanette Jenkins or Jillian. For me this has become a lifestyle change because it just knocks out the stress my job brings with it. And to see the smile my daughter wears when she achieve a goal she set for herself, well now THATS motivation! Hi Regina! Thanks so much for your comment! That’s such a great story and I’m so glad that you and your daughter found the motivation to help each other get fit! Keep up the great work and always be on the lookout for fun new ways to workout and things to do to offset boredom. Having your daughter as a parter will help too! In my experience – most people are successful with they workout in a group or have a partner to do it with them. Please keep me posted on your journey and let me know if there is anything I can do to help!